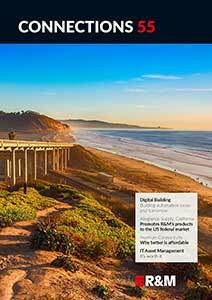 Network operators are looking for flexible fiber optic distribution at every location. Whether in the POP, the hub, on the campus, in the FTTH project or in the cable network. The 19’’ CombiMODULE for five height units (5U) brings greater flexibility. The new 5U solution is a compressed variant of the 10U CombiMODULE for Optical Distribution Frames (ODF). Its trump cards: flexibility and packing density when equipping or retrofitting optical distribution cabinets. CombiMODULE fiber optic distribution modules from R&M fit into all 19” rack spaces – whether at distribution sites, in data centers, in street cabinets, in the POP or hub, in FTTH infrastructures or cable networks. 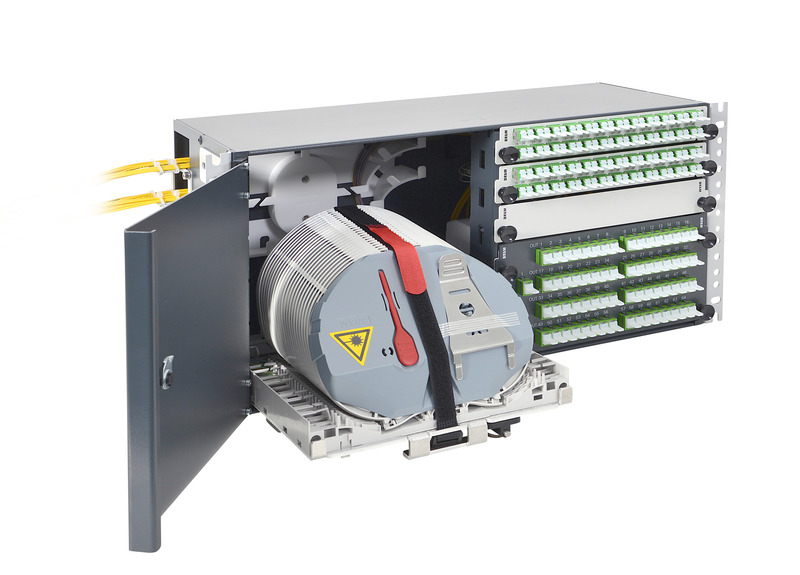 The two-part housing has room for any combinations of splice and patch units to connect and distribute optical fibers reliably. The fiber optic distribution platforms can be equipped with patch and splitter inserts as well as trays from the Single Circuit Management (SCM) system. One side can be equipped with six patch inserts on 5 units or with twelve patch inserts on 10. This means that up to 288 fiber connections with E-2000™* or SC adapters can be offered on 5 units and up to 576 fiber connections with LC adapters on 10 units. Both 19“ modules are available as a cable-to-cable splicing platform.